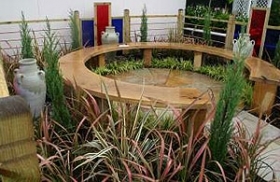 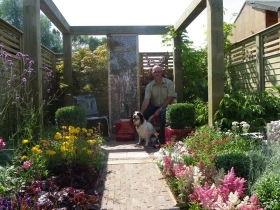 At GRO Landscapes we always strive to improve and demonstrate the quality of our business, from professional accreditation and training, to RHS and other show garden events. As well as on going professional qualifications and certifications within our staff, we are proud to belong to the Association of Professional Landscapers, the Horticultural Trades Association and Government Trustmark Scheme. 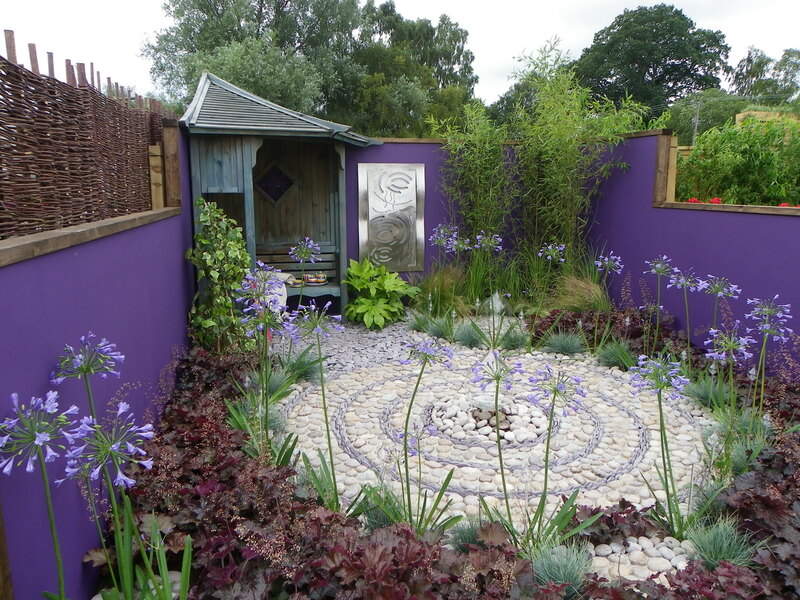 Please see a selection of some of our show gardens below. 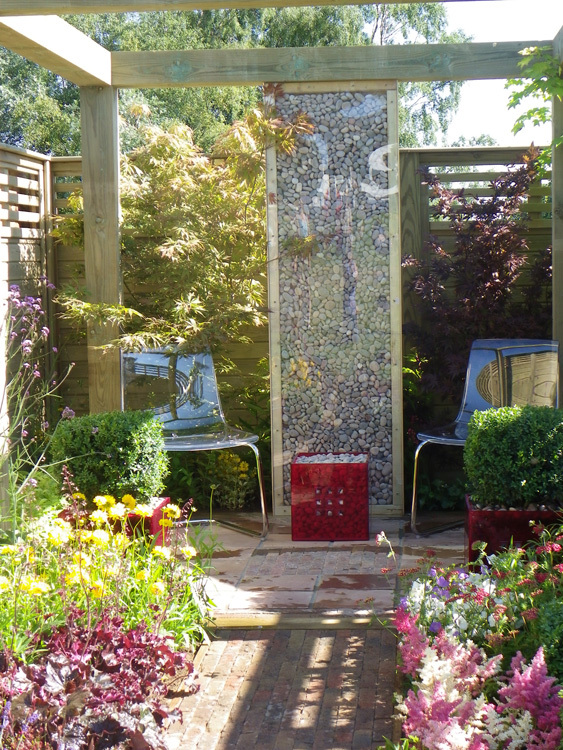 See us in March edition of the HTA News. Guy Ormes from GRO Landscapes questions and answers on the Landscapers Profile. 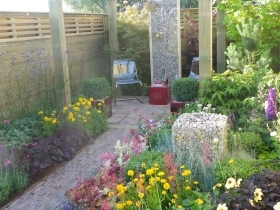 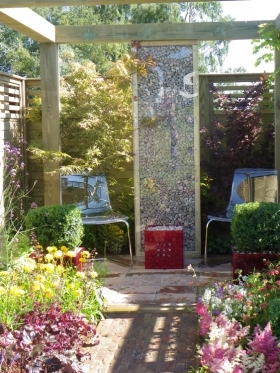 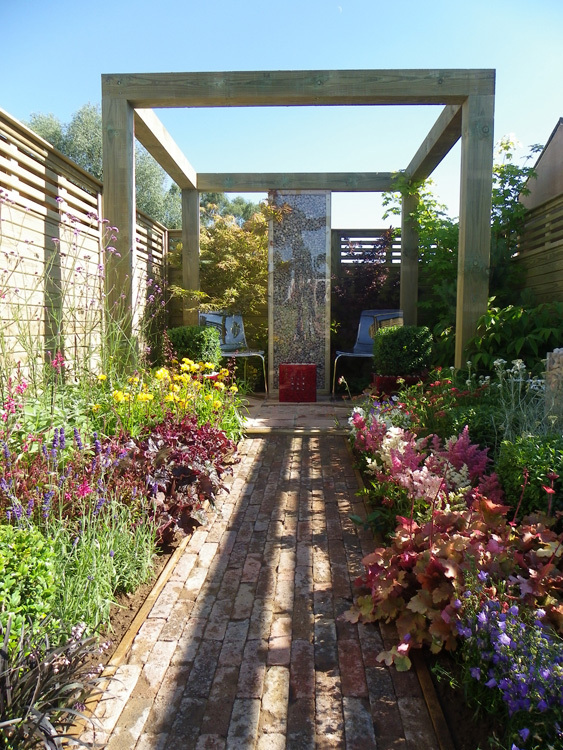 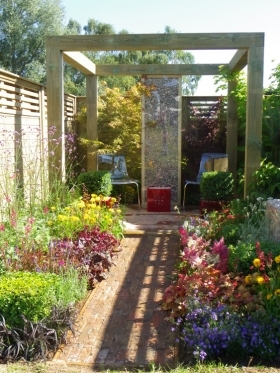 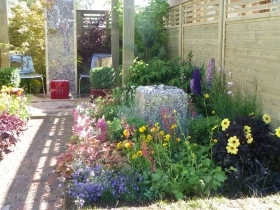 2012 sees another successful year for GRO Landscapes winning Silver Gilt for a garden called “Cube”,built at Sandringham Flower Show. 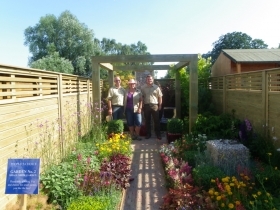 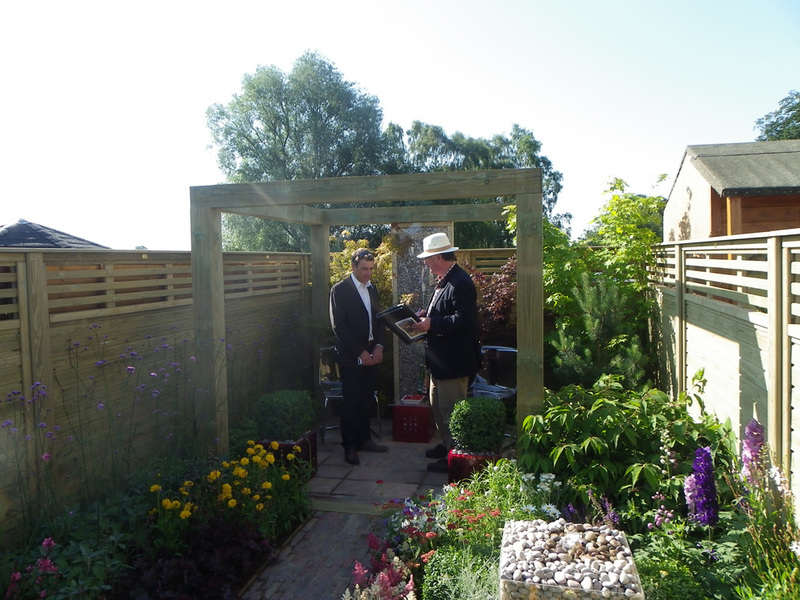 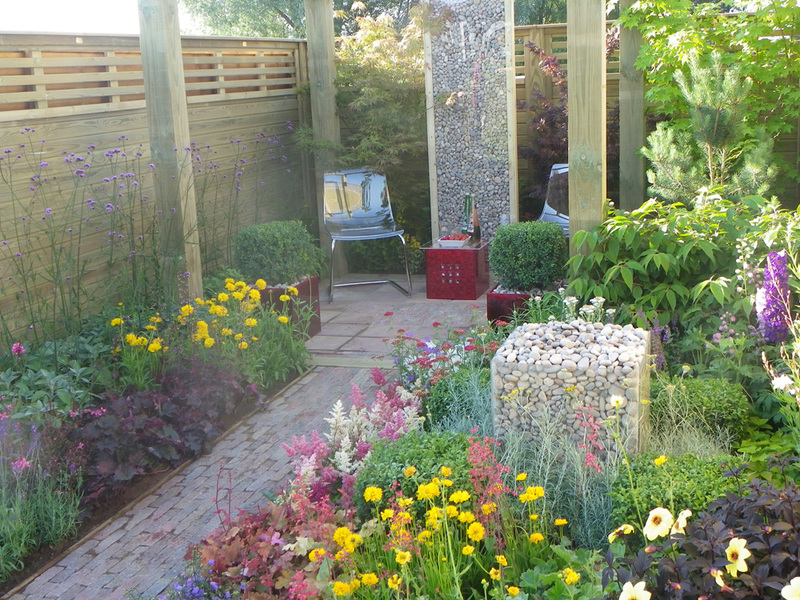 The garden was judged again by Chris Beardshaw and Alan Mason and all the build team were delighted at the result. The garden was based a contemporary theme of an open sided timber cube, providing a raised level in which to sit. 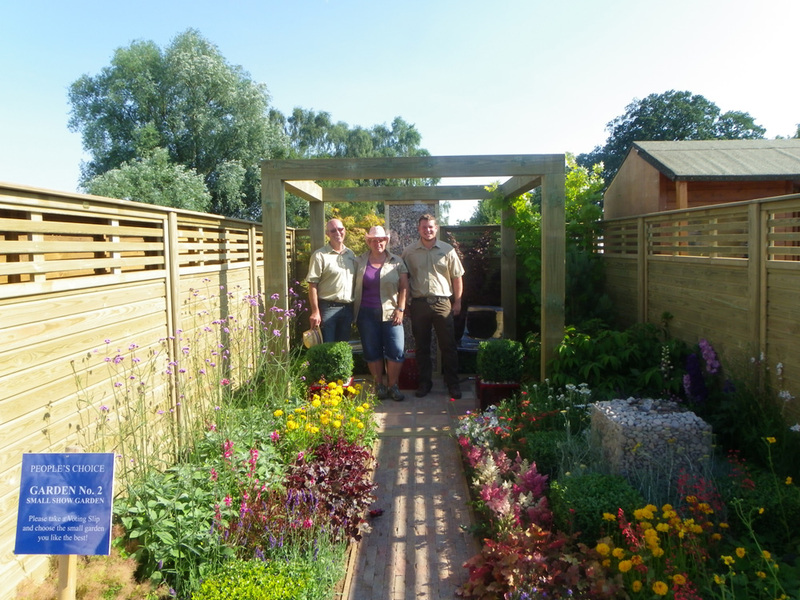 Our sponsors” Jacksons Fencing” provided the timber for both the Cube and also the fence panel boundary, giving a very sharp, quality feel to the garden. The paving of Tobermore “Retro” blocks and honed sandstone were provided by Collier & Catchpole builders merchants, and our thanks go to both our sponsors for making this garden possible. Plans and themes are now in progress for other show gardens in the future.